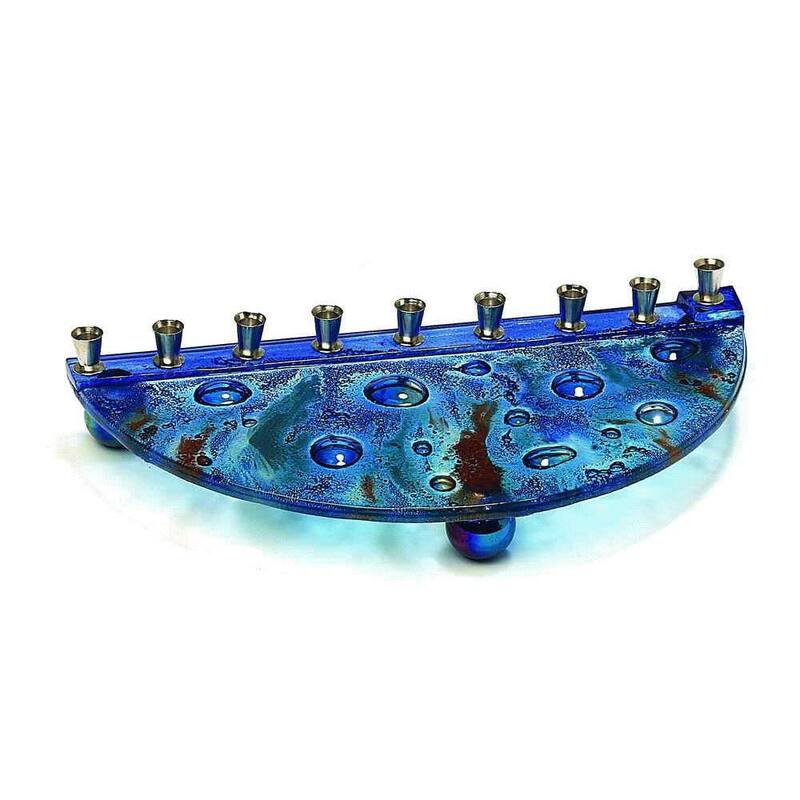 Contemporary And Artistic This Mediterranean Colored Fused Glass Menorah Is. The 10'' Half Round Menorah Sits Atop Iridized Marbles On The Bottom. Brightly Polished Chanukah Candle Holders Are All Set In A Row. 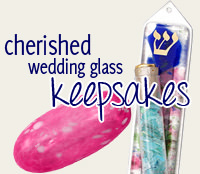 Each Menorah Is Handcrafted In The Tamara Baskin Art Glass Studio. 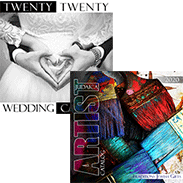 As Each Piece Is Hand Made And Unique, No Two Will Be Exactly Alike.